My husband and I both grew up in families that had the tradition of re-enacting the nativity on Christmas Eve. This has become a treasured memory for both of us, and we look forward to it every year. As we have attended these devotionals over the years, I have noticed some things that have made these re-enactments more meaningful. A Script. We usually read directly from the Bible, and I’ve found that the most engaging re-enactments happened when everyone can see the script. Whether you just reprint the specific verses or share several sets of scriptures, having a script to share helps everyone stay on-track and involved. 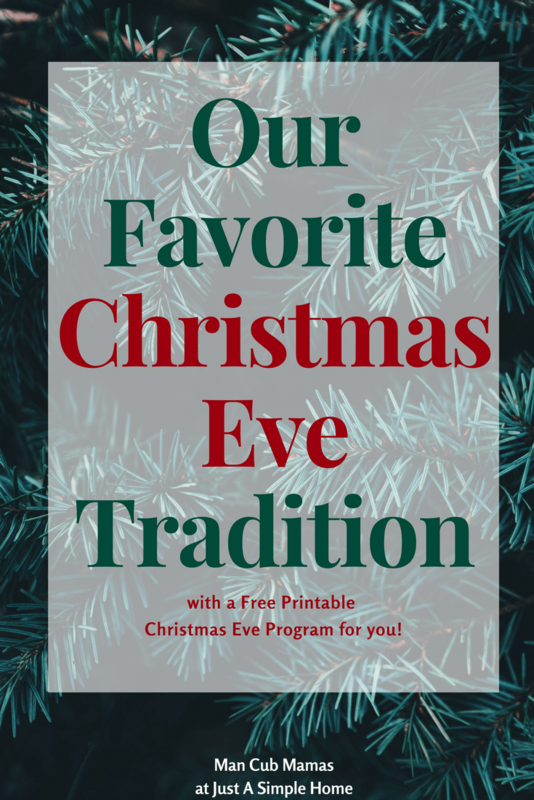 If you would like a free printable script of verses and carols, click here. Roles. The most important part to having a successful re-enactment is everyone has a role in the story. If you have a small family, you may get to play more than one role! If you are celebrating with extended family, this may mean that there are extra roles added, such as extra shepherds and angels, cows or horses in the stable, and camels with the wise men. Even with less willing relatives, they always will get more out of the story if they are a part of it, no matter how small. It helps everyone (especially little children) pay attention better as they wait for their part. Costumes/Props. Over the years, my side of the family has collected a wide variety of costumes. They have something for every size, so when extended family visit, they can always find something from the nativity box to wear. If your family doesn’t have such a collection (or if you are traveling) there are lots of other options. You can make due with robes and towels around the house. You could purchase a nativity play set and let everyone hold a piece as part of his or her role. You could purchase or print out facemasks and glue them to popsicle sticks. The point is, you shouldn’t spend a lot of time worrying about elaborate costumes. Keep it simple, so that everyone can focus on the story. Music. Singing familiar Christmas carols throughout the re-enactment is a great way to break up the narration and involve everyone. This is especially true for children, as they can use the music as a chance to get their wiggles out. This is another way to get everyone involved in the program, especially if you are celebrating with a large group. Our favorite songs to sing during our re-enactment are O Little Town of Bethlehem, Joy to the World, and Silent Night. Repetition. While we may re-enact the nativity just once a year, it is important to repeat the story and the songs often. The re-enactment will mean more to you if you have been pondering the birth of Christ throughout the month of December. The songs will mean more if you know the tune and the words. Practicing with children beforehand can be a good way to get them excited about the re-enactment. Re-enacting the nativity does not have to be elaborate or complicated. By involving everyone through roles, costumes, and music, the story of Christ’s birth becomes more meaningful and special. 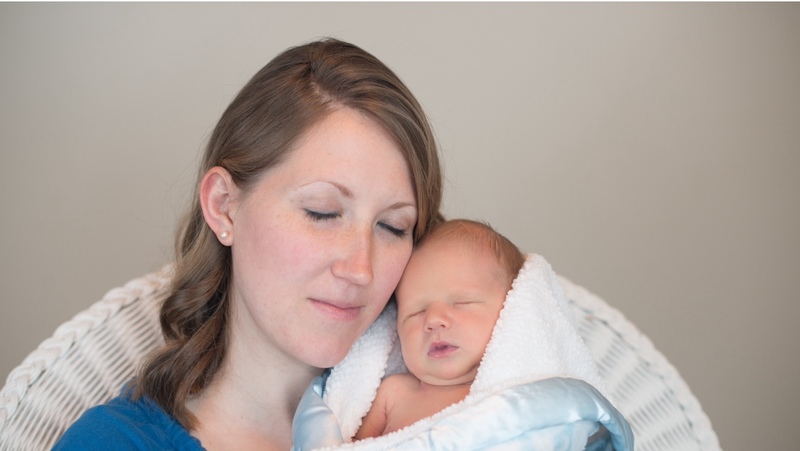 My name is Rebekah, or “Mama R.” I blog at Man–Cub Mamas along with my friend, “Mama T.” We both have young boys and share our stories raising them. We focus on parenting, relationships, gender issues, and reading. This is pretty amazing!! I’ve never heard of a family doing this before among themselves. I bet these are some of the sweetest memories ever, and I’m sure it brings the Christmas story to life for the littles! Fantastic!